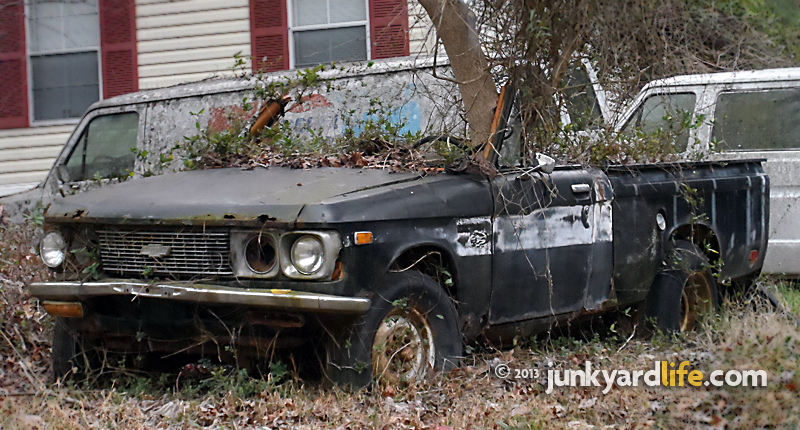 A tree grows through a first generation Chevy LUV pickup truck. 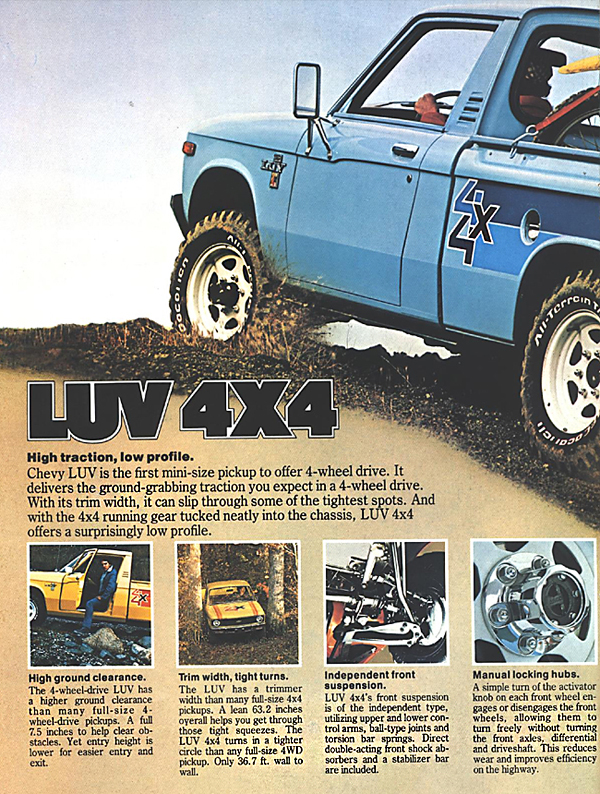 Chevy LUV pickup goes green the hard way. 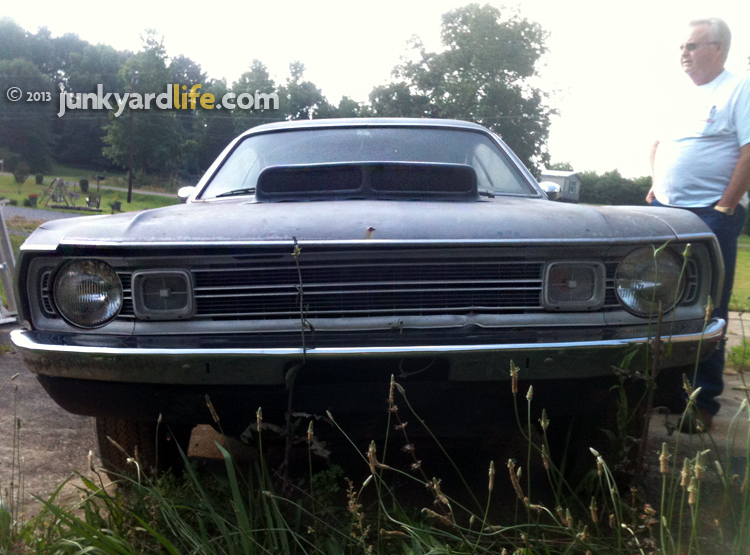 How often does a 40-year-old pickup truck get overlooked when its parked in the middle of a front yard. A first glance fail! I missed it! And it had a tree growing through the cab! Chevy's little trucks get no respect. 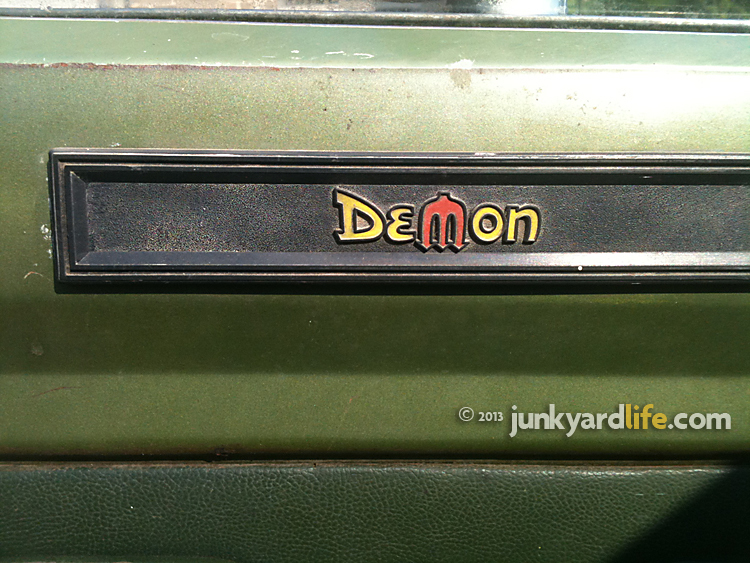 The shot above was taken as I drove away from an impromptu junkyardlife visit to an unsuspecting homeowner. 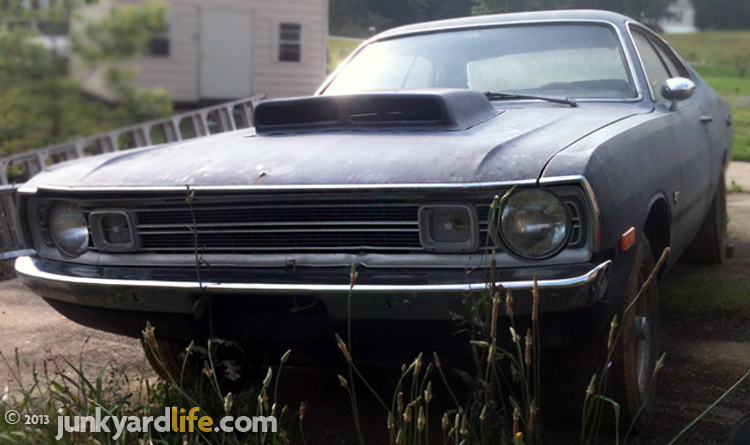 Ron Kidd and I were roaming the back roads looking for projects, parts and information when we spotted a home with at least twenty white vans surrounding the perimeter. 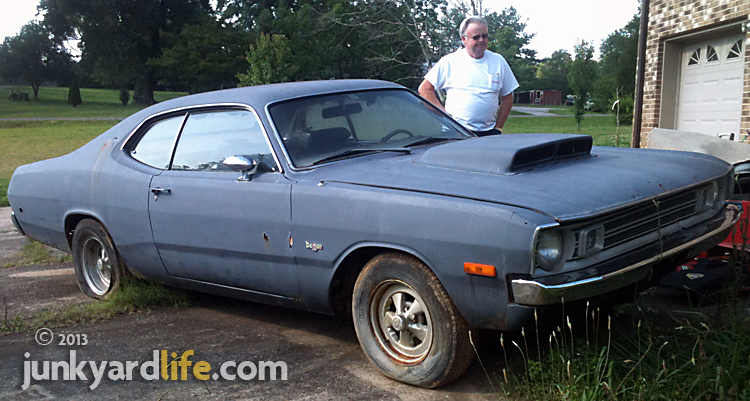 "This guy might know where I can find some wheels for my ’55," Ron said. My partner in grime, Ron, who is in the middle of his frame-off 1955 Chevy project, is digging for Tri-Five treasure everywhere we go now. After a brief conversation with the owner we learned that he must be a Ford guy. We backed out of the uneven, dirt and gravel driveway and the Chevy LUV, parked smack dab in the middle of the yard with a tree growing through it, came into focus. "How did we miss that?" 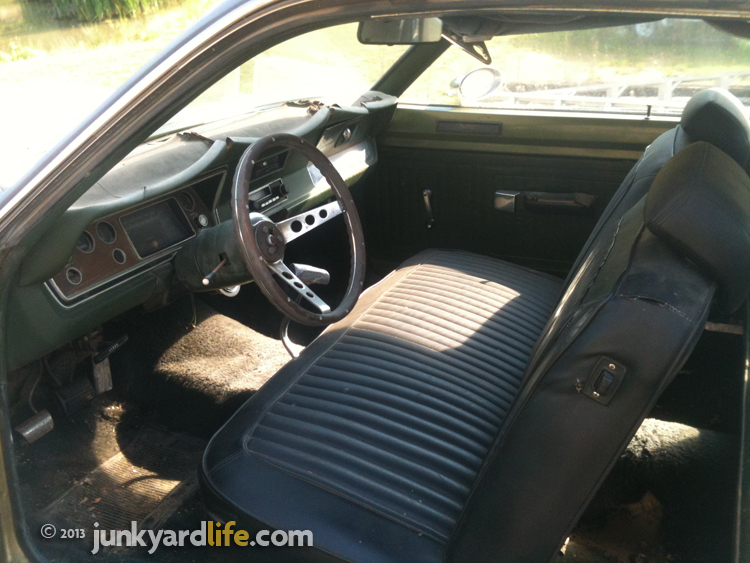 I was afraid to go back and ask the homeowner about the little, Isuzu-sourced Chevy built somewhere between 1972-1977. We had already pulled him out onto the porch on a cold, snow-flurry-filled winter Saturday. We had punished him enough. But what happened to this truck? Did the tree bust the top out? Was it a home-built convertible conversion? How many miles are on it? So many questions? Leave a comment on what you think happened and whether you would try to save this LUV? Want to check out more cars with trees growing through them? See a 1955 Chevy with a tree growing through it. Or some 1930s classics with trees growing through them. 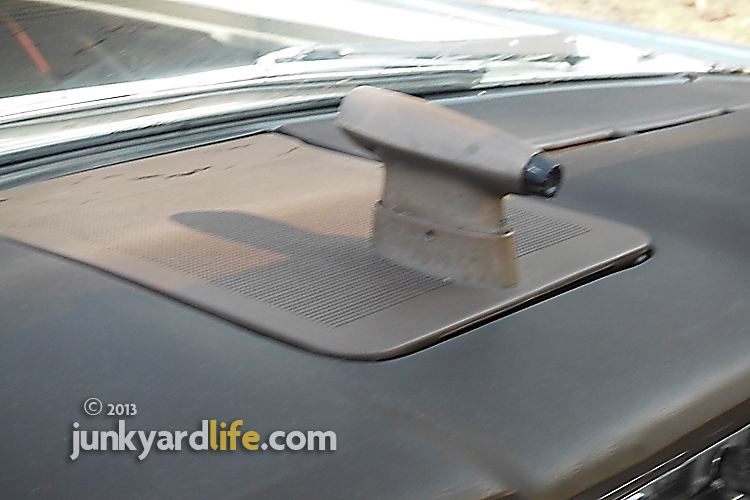 Big hit in a 1963 Lincoln Continental. This poor guy. The police knocked on his door at 4:30 a.m. on a Sunday morning. That’s usually not good. The startled owner of this ’63 Lincoln Continental thought it had to be a mistake, and all was okay, when an officer asked him if he owned a 1976 Cadillac. Uh-oh! The owner of the big, white Lincoln knew then, there must a be a problem. He did indeed own a 1963 Lincoln Continental and had just recently brought it home after purchasing it from a collector in South Florida. It had been a pleasure to drive the luxury cruiser home to Alabama. What wasn’t refinished and restored was fully functional and original. The Continental was a hit everywhere it went. The ‘suicide’ doors were a great source of conversation for "those in the know," and a bewilderment for younger folks and newbies taken back by the concept of backwards opening rear doors. A cool 50-year-old Lincoln that didn’t show its age. 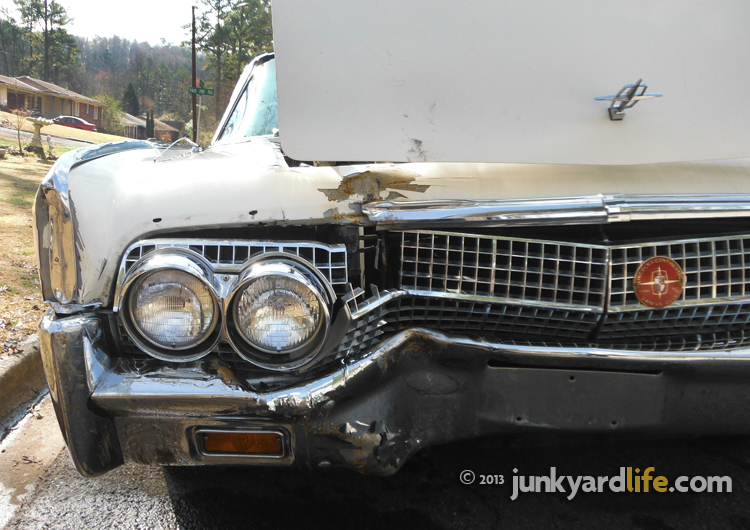 Damage to the ’63 Lincoln was heartbreaking but could have been worse than a fractured fender and egg crate grille. On a cold winter morning, law enforcement questioned the disheveled owner on his front porch. It was not fun... well, it wasn’t so much the questions as it was the answers. Happy Sunday to you, sir. You didn’t know your car was gone. Now your going to get it back AND its wrecked. 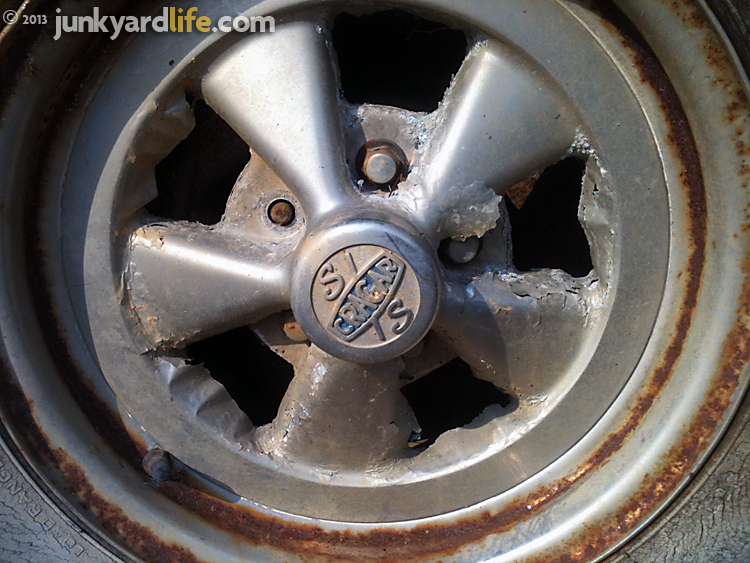 The damage wasn’t as bad as it could have been, and only a minor set back in this luxury cruiser’s history. 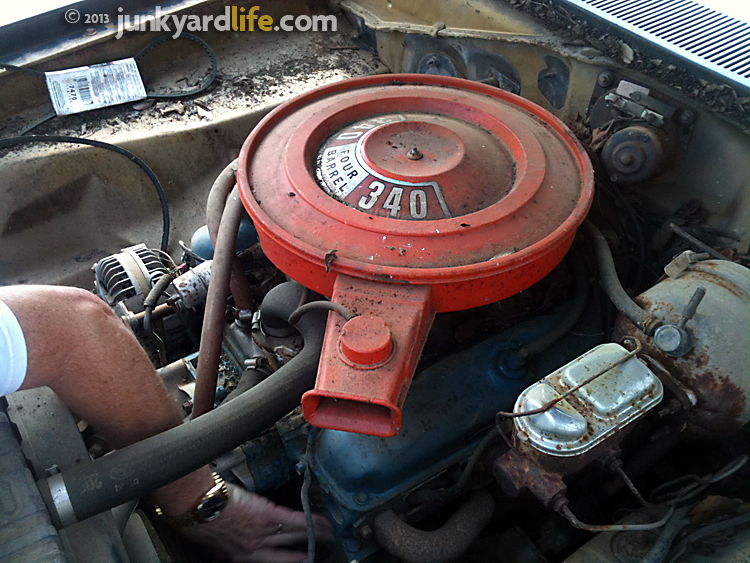 The ’63 Continental was returned and then the damage control began. 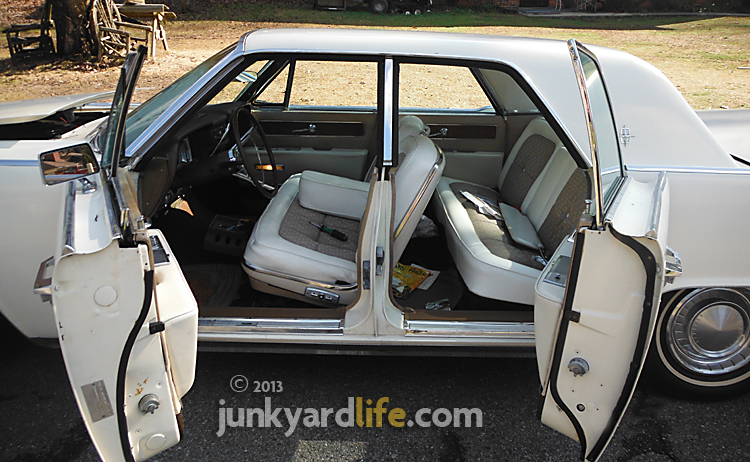 "Suicide" rear doors make the Continental the topic of many cruise night and gas pump conversations. 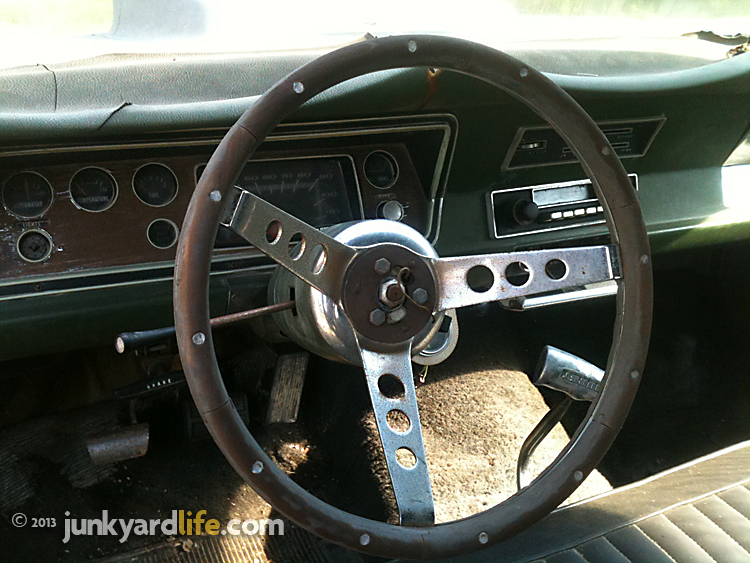 Designers carried the chiseled look over into the cockpit of the ’63 Lincoln Continental. Sales were up in 1963, Lincoln produced 28,095 4-door sedans, although the Cadillac remained the go-to luxury car for most buyers. Lincoln came in second, but that was saying a lot considering the direction Joe CarBuyer was headed. There were more choices on the market than ever. What would you have done? These cars were expensive, elite and very cool. You associate these cars with 1960’s money and fame with people like the Kennedy’s and several TV shows. Would they run? Are you kidding? Don’t try to pace this hot rod Lincoln. With 430 cubes making 320 HP it would be hard to keep up on the highway with its top end friendly 2:89 rear gear. If you think that’s not enough gear to get this 4,950 lb ship moving in a hurry, think again. 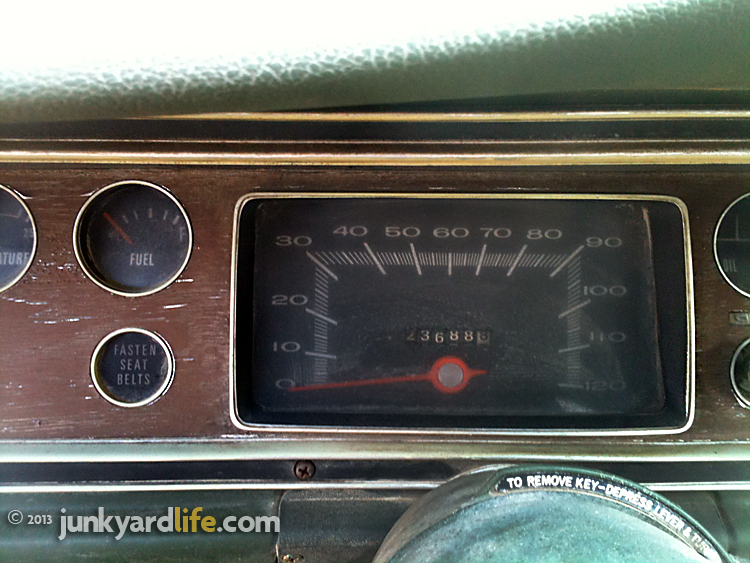 Lincoln was well aware of the hefty poundage and decided 465 ft-Lbs @ 2,000 RPM would do it. It did. 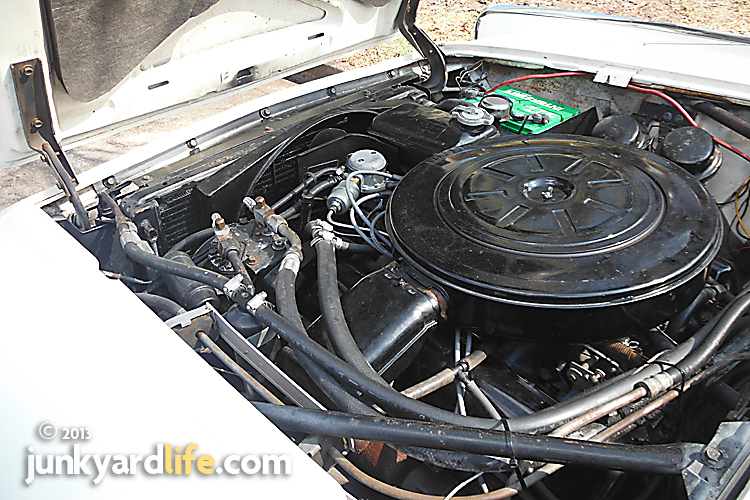 Is this the original 430-V8 in this 1963 Lincoln Continental? So, what is to become of our feature car? Its going to be fixed. The owner was making a shopping list of parts and part sources when I found him. There doesn’t appear to be frame damage and the parts needed are mostly available. 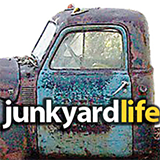 We here at Junkyard Life salute his positive attitude and outlook. I am going to follow up with some numbers and research to help determine his engine. He was told it was a 460 cubic inch engine. It could be, but he was also told it was original, which would make it a 430-cube V8. So, I could use some advice. If you know of any give away cues on a 430, or any parts resources I can pass along to this gentleman, e-mail me (Ron) and I will see that he gets the info. 1963 Continental sports a Honey Beige two-tone interior. 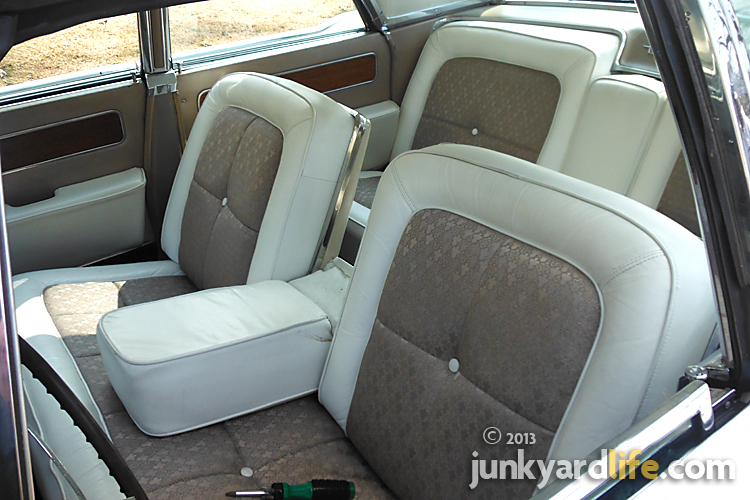 Lincoln’s luxury liner had a power front bench seat. 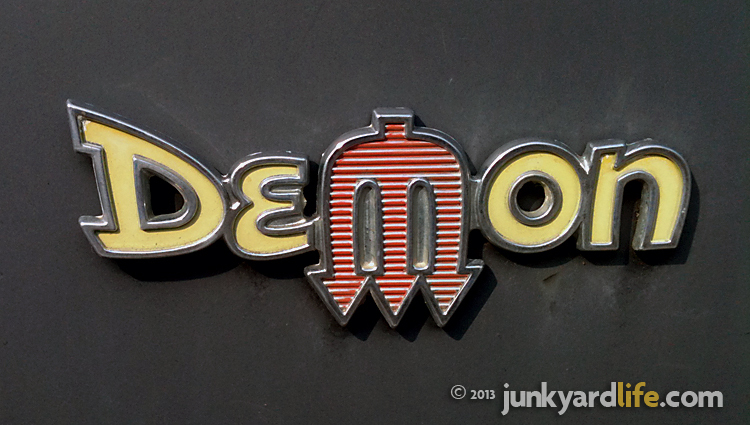 A reverse-opening hood complements the rear-hinged back doors on this dinged-up ’63 Continental. 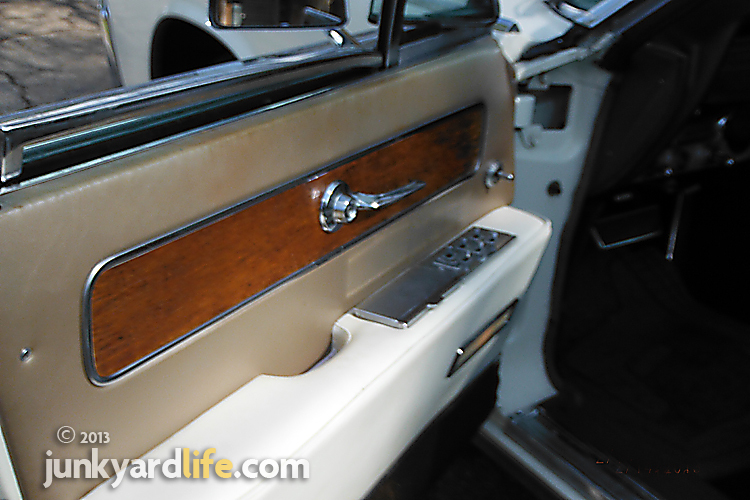 The 1963 Lincoln was loaded with luxury - wood grain door panels and power window switches. 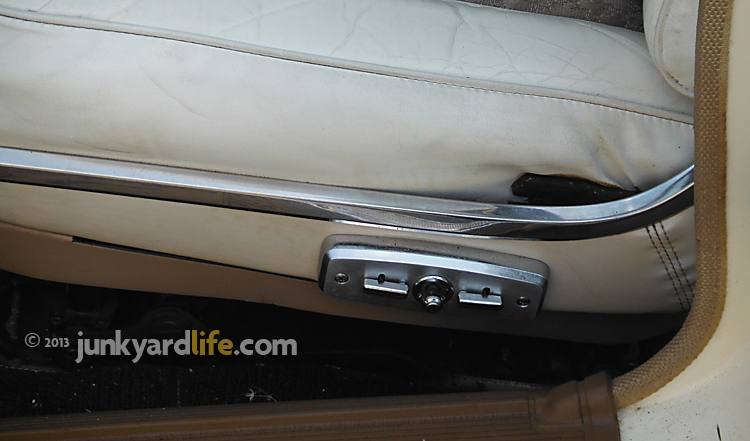 A dash-mounted automatic headlight dimmer was optional on Lincoln Continentals. It detected the lights of on-coming cars and saved them from you high brights. 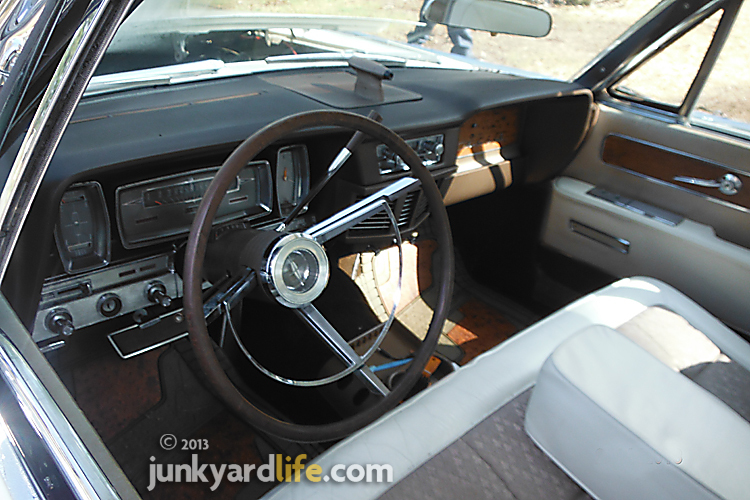 The first Lincoln Continental was to be a special production of only 1, built for Edsel Ford. They started building it in 1938 to have it ready for March of 1939 because Edsel Ford took his vacations in March. In the luxury car battle as far as sales numbers were concerned, the Lincoln Division wasn’t doing so well. The corporate bean counters had them slated for the chopping block. 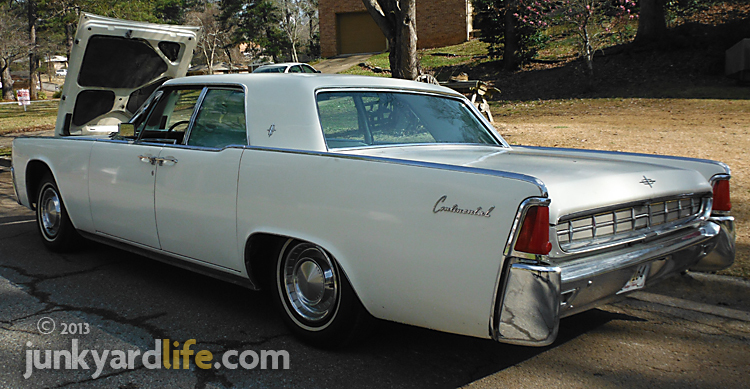 The 1961 Lincoln Continental was introduced and by 1963 became a proud flagship for Ford. The “suicide doors” were named such because if a passenger were to fall out of the moving vehicle, the door would run right over you, thus turning your daring escape or accident into a suicide. “Suicide doors” were said to be popular with gangsters in the 1930’s because it was said to be easier to push some unlucky person out of a moving vehicle. Ouch! President John F. Kennedy took his final ride in a dark blue 1961 Lincoln Continental convertible in Dallas on No. 22, 1963. In 1963 President Kennedy was assassinated in a 1961 Lincoln Continental four-door convertible. 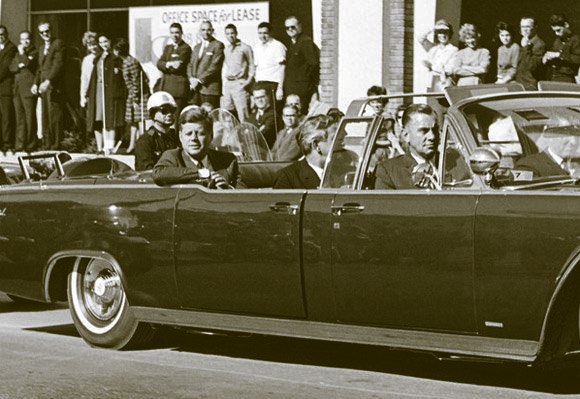 It has been said that post-1963 Presidents of the United States were not to ride in open air cars. They did not for many years. Jacqueline Kennedy and a Secret Service agent react moments after President Kennedy was shot. 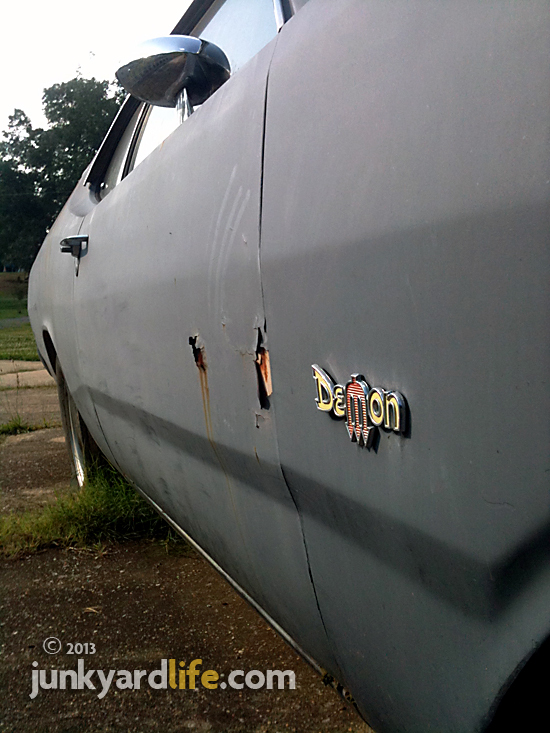 The auto industry tried to avoid the term “suicide doors” when referring to their way-cool, rear-hinged doors. They didn’t want to frighten the public and hurt sales.